Honouring the sporting elite to represent Australia in Rio de Janeiro, this coloured coin celebrates the 2016 Australian Paralympic Team. 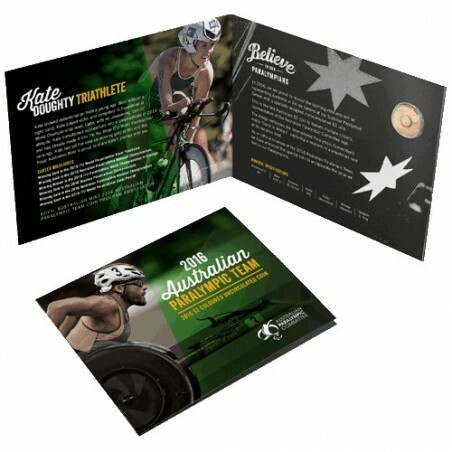 With this unique memento the public will be able to show their support for the 2016 Australian Paralympic Team. Whether kept as a personal memento or given as a gift, this coin portrays a message of triumph and athleticism. The inaugural Paralympic Games took place in Rome in 1960. Since then these Games have been held in each host city following the Olympic Games. Australians have participated in every Paralympics to date and have achieved a top five finish on the medal tally at every Games since 1996. 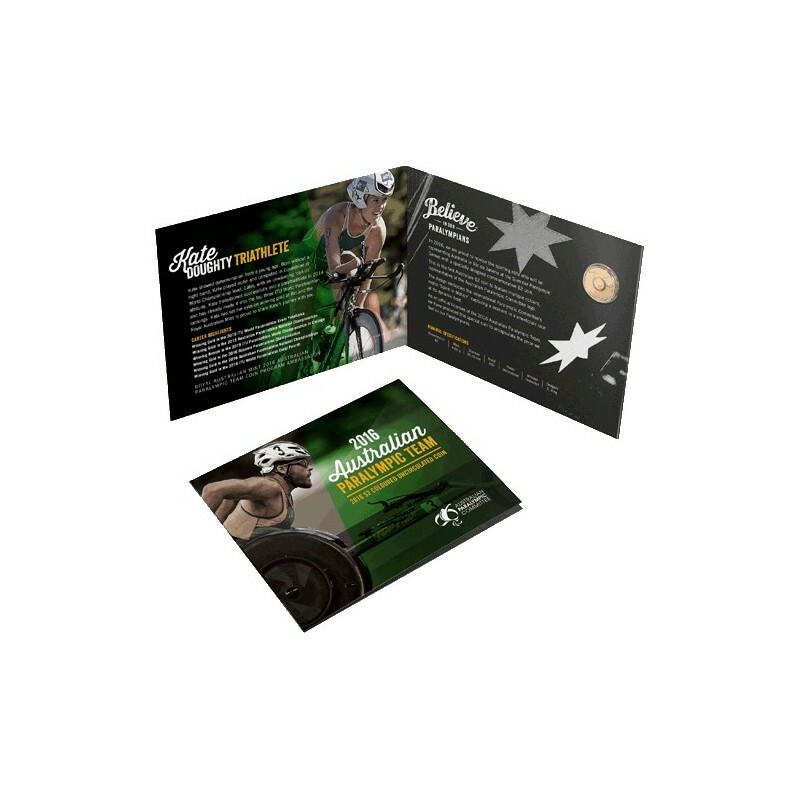 This commemorative piece is the first $2 coin to features multiple colours representative of the Australian Paralympic Committee logo, incorporated into the design, capturing a moment in a wheelchair race at is dynamic best. This design embodies the spirit of the Australian Paralympic Committee’s ‘Believe’ campaign, conveying the self-belief and strength needed to become an elite athletes. This is the first Australian $2 coin to feature multiple colours. The design features a whirl of colour, representative of the Australian Paralympic Committee logo. Each card includes information on Mint’ Coin Program Ambassador. Each coin is housed in a coloured presentation card, and issued as Australian legal tender. The coin’s obverse features Her Majesty Queen Elizabeth II effigy designed by Ian Rank-Broadley. Certificate of Authenticity : Royal Mint Official Australian Olympic Coin Program Packaging.